The “smart money”, or the group of winning traders that include market makers, large institutions, hedge funds, and algorithms, rely on “dumb money” retail traders for their steady stream of profits. 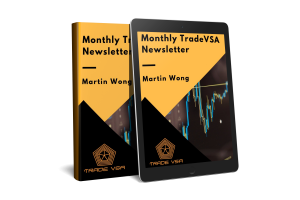 As a Volume Spread Analysis trader, we want to follow the smart money and profit together with them. 2. 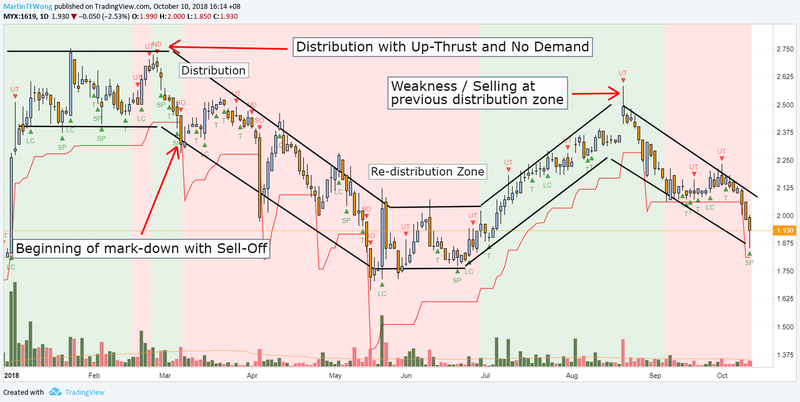 Formed a short re-distribution zone with upbars volume are lower compare to previous mark-up stage. This indicates demands are lesser. 3. Up-Thrust is spotted again on 20 August 2018 at previous distribution zone shows smart money is selling at the higher price.